Enjoy the rural tranquility in a lovingly furnished, spacious and cozy apartment (about 80 square meters). 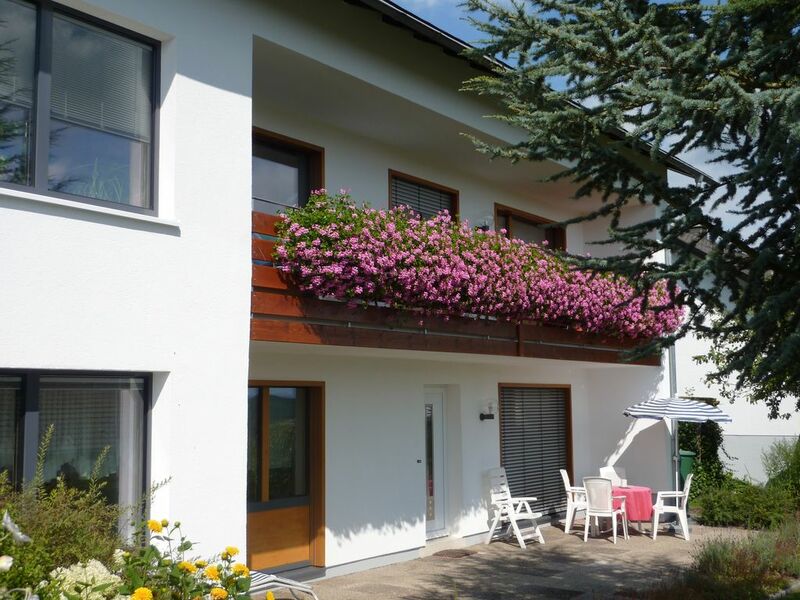 After an eventful day in the beautiful landscape of the Upper Sauerland region or the nearby tourist resorts (Willingen Winterberg, Medebach), you can relax on the sun terrace. 2 bedrooms, 1 bathroom (with bath / shower and washing machine), 1 spacious living room with satellite-TV invite you to linger. Since the comfort of the apartment is close to our hearts, we have recently renewed the floor in the living room and purchased a new dining area in the kitchen (2016/2017). The modern kitchen leaves nothing to be desired: coffee maker, microwave and refrigerator provide the ideal basis for flexible self-catering. Of course, you can use free Wi-Fi / WIFI with us (connection to the free-wireless network available). If you have any questions or problems during your stay, you like is the hospitable family Asmuth aside and help make your vacation a memorable one to make. The small village has about 450 inhabitants Düdinghausen. Small but powerful. In the self-styled adventure village there is a lot to explore. Geological trail, nature trail 'Pön', as well as the many village festivals are there only a short outlook. Düdinghausen is an ideal starting point for long walks on foot or by bike. Sauerland - soaring and Uplandsteig lie directly on site, links to the known Rothaarsteig are also available. The famous holiday park 'Fort - Fun' is about 30 km away. In Medebach (about 10 km), the longest playground in Europe "Spielberg Aventura" has been reopened. Even in winter, the Sauerland is impressive. Meanwhile, snow-sure by many snow cannons, you can explore the alpine highlands. A small ski lift is available in about 150m distance to the apartment. But on cross-country skis can explore the region. For the 'boys' and 'young at heart' there are many nightlife options with discos, bars pubs & restaurants in the neighboring Willigen and Winterberg. Guests of the guest card can use the bus connections in the area Medebach / Willingen / Winterberg free of charge.